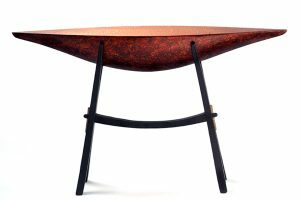 Having been interested in lighting from an early age, Joel Bless found it natural to fuse glassblowing and light. 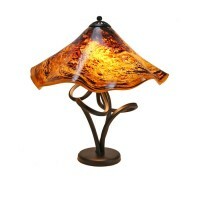 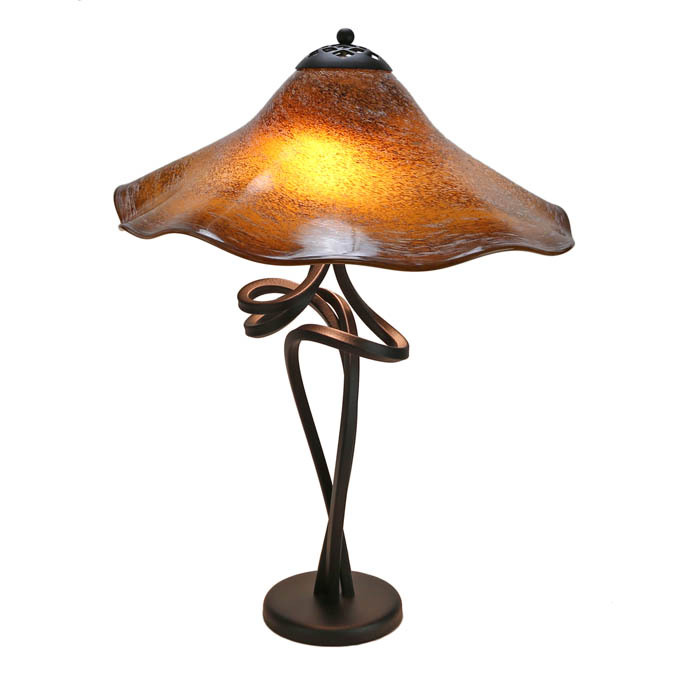 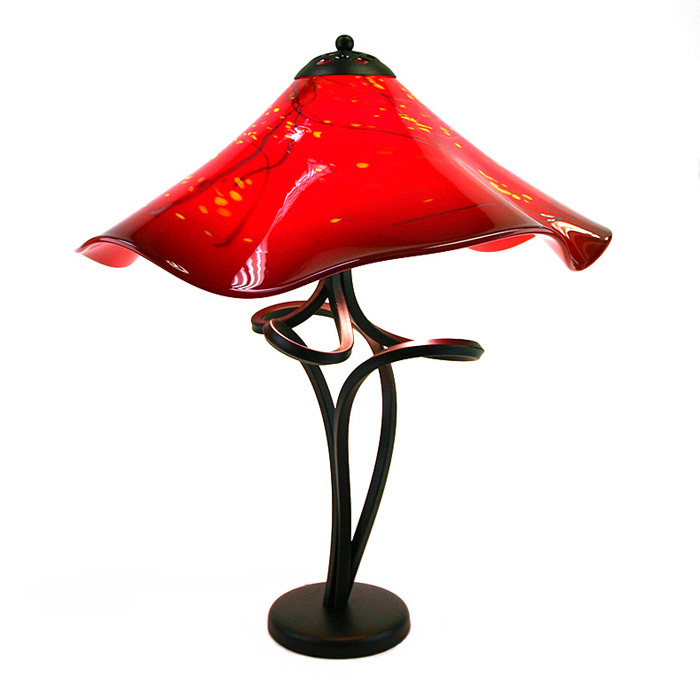 By 1977, he had build his own hot shop and was producing vases and lamps. 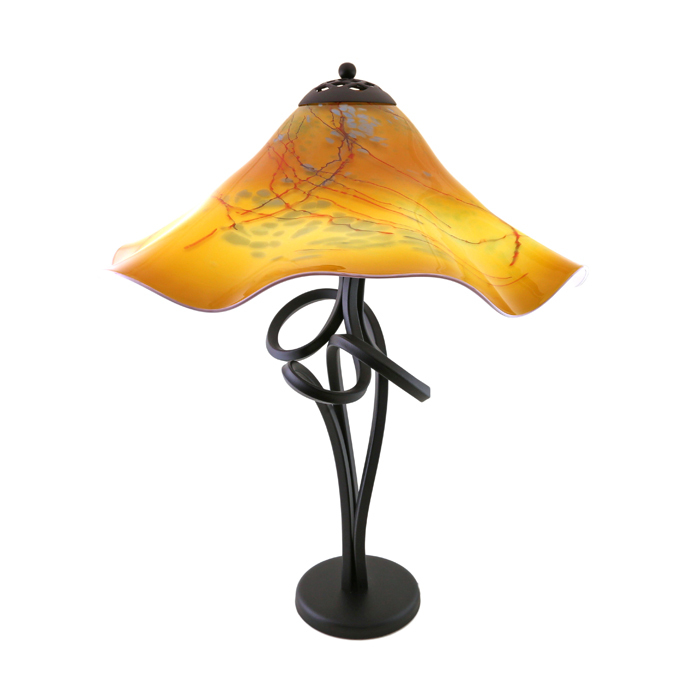 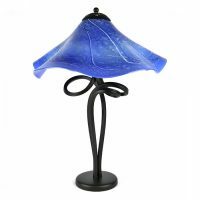 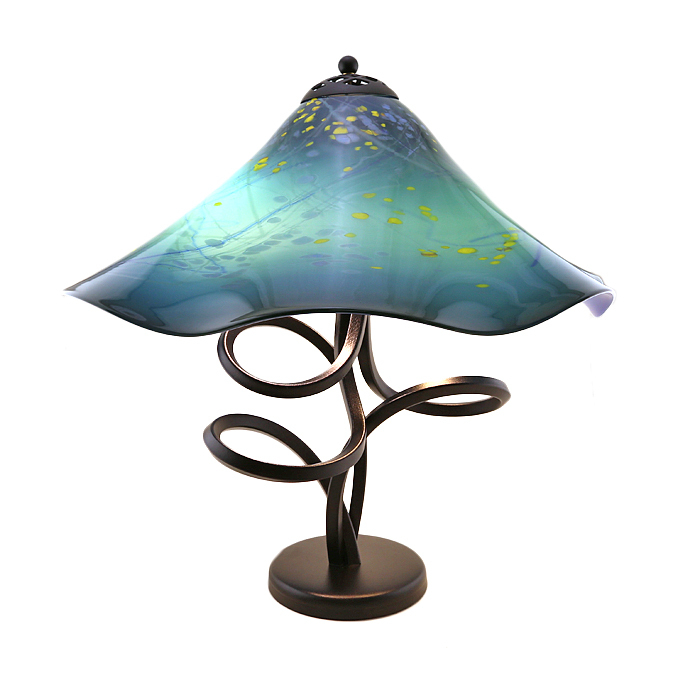 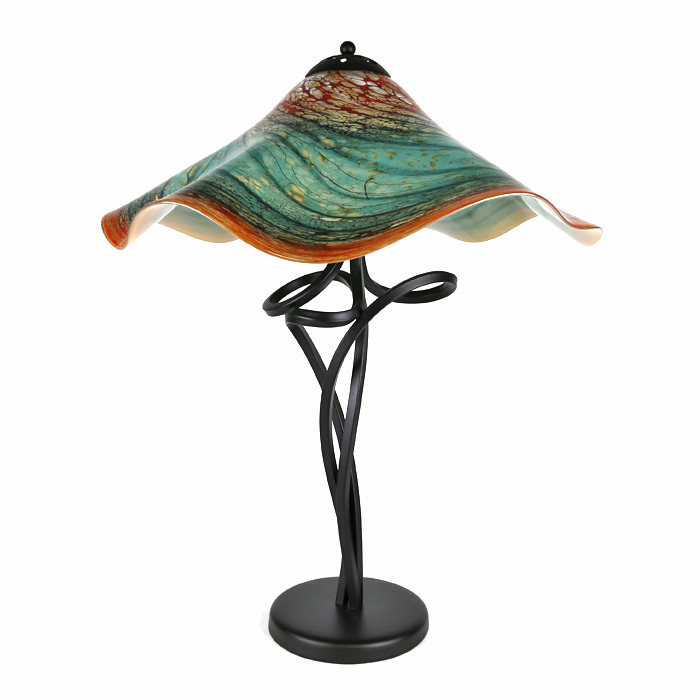 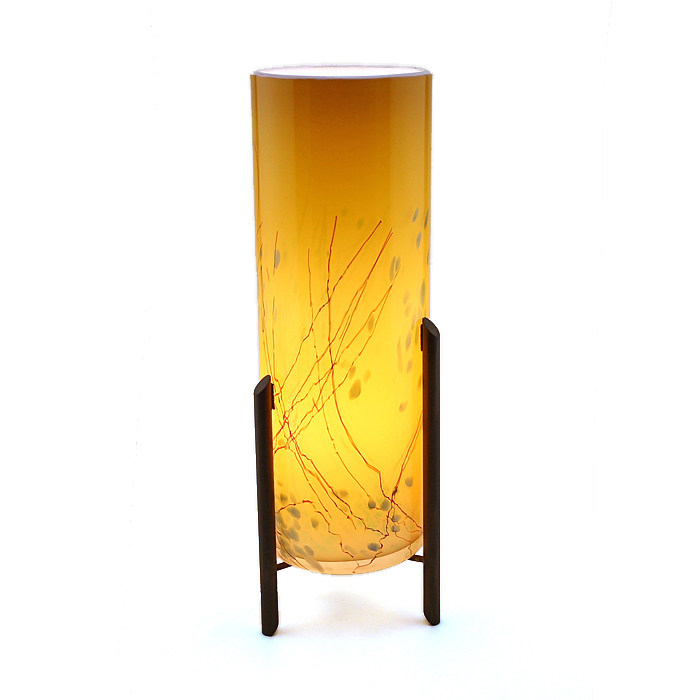 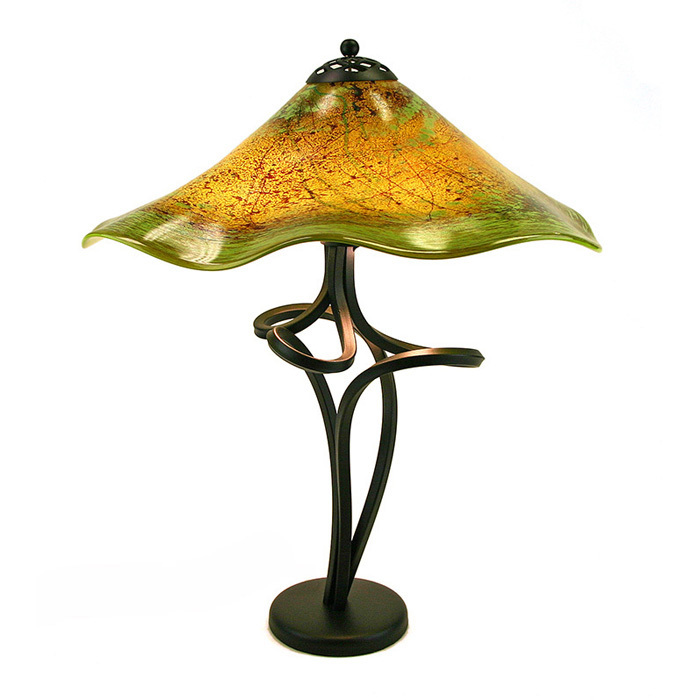 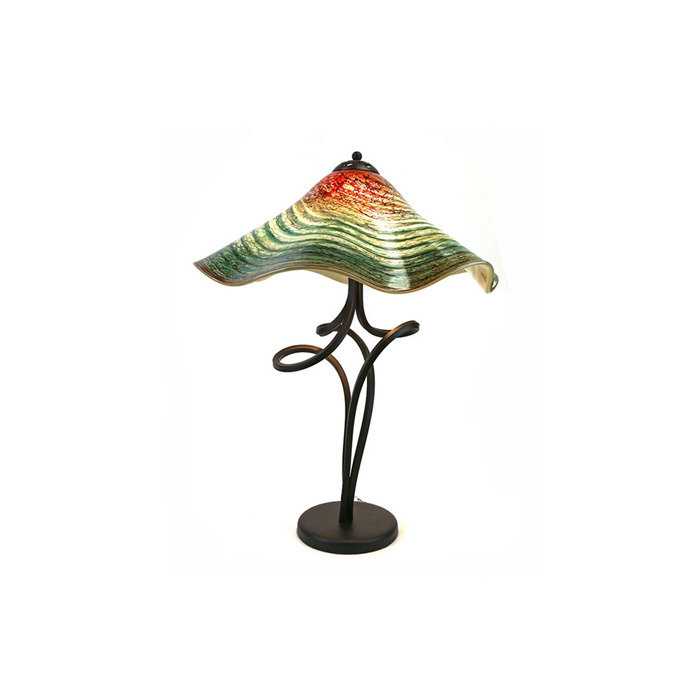 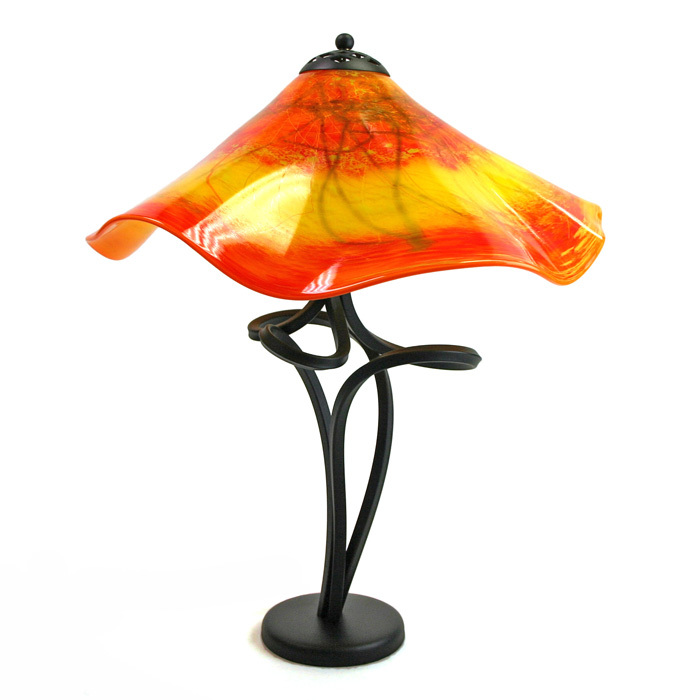 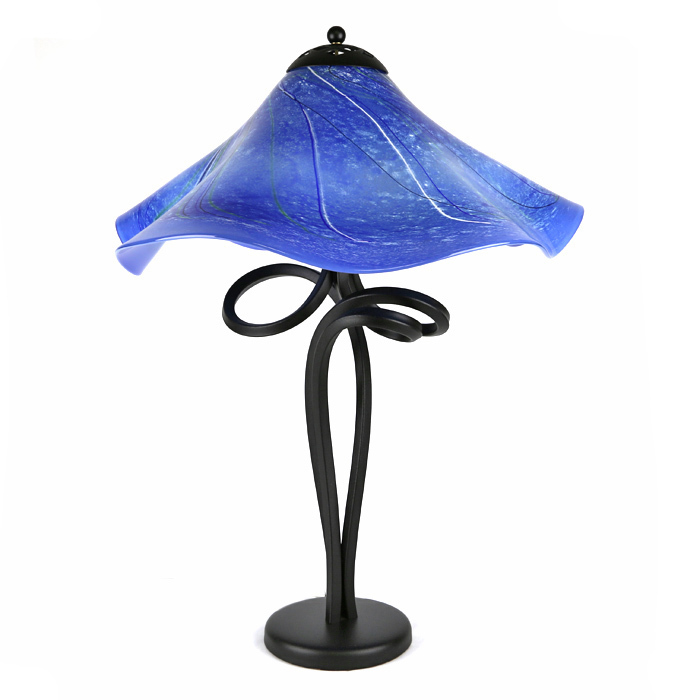 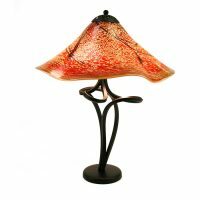 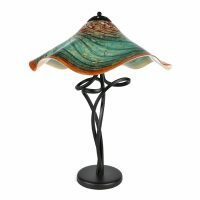 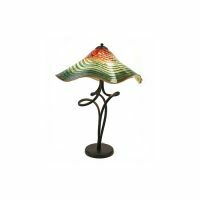 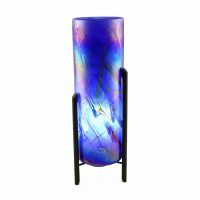 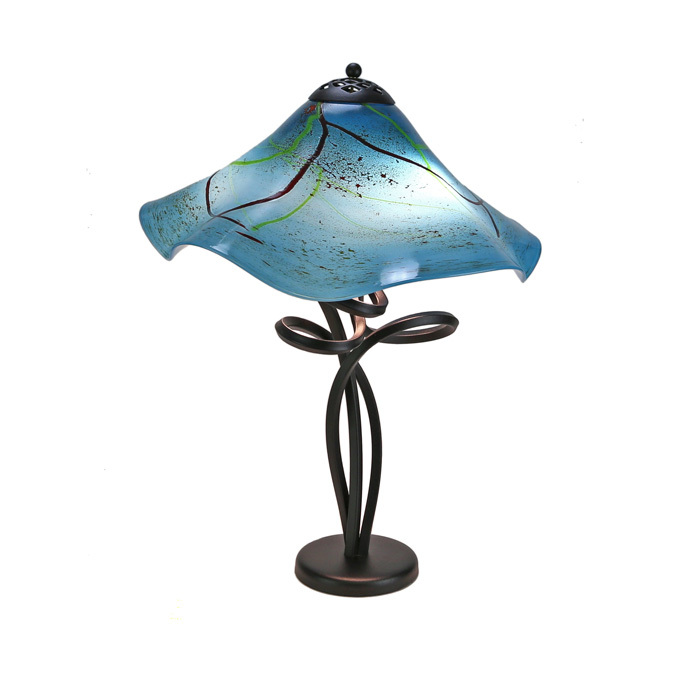 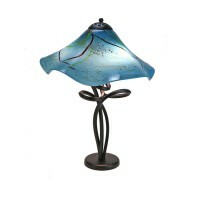 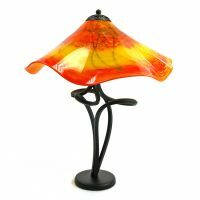 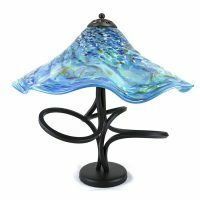 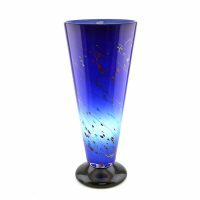 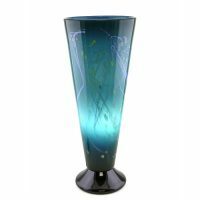 Joel currently makes a wide range of hand-made glass lighting products in a variety of styles and is always working to develop new techniques for creating functional art. 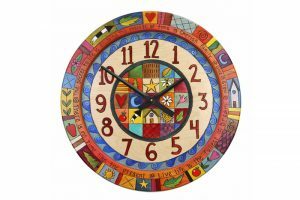 Candace Luke-Bess began her art career as a printmaker with a particular fondness for the intaglio process and working in collage. 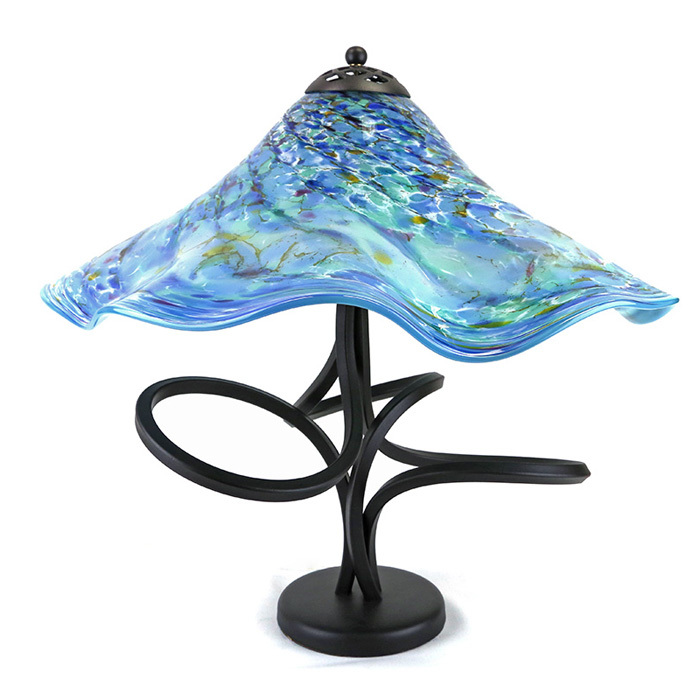 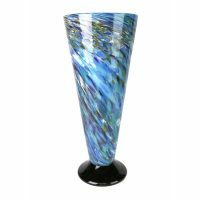 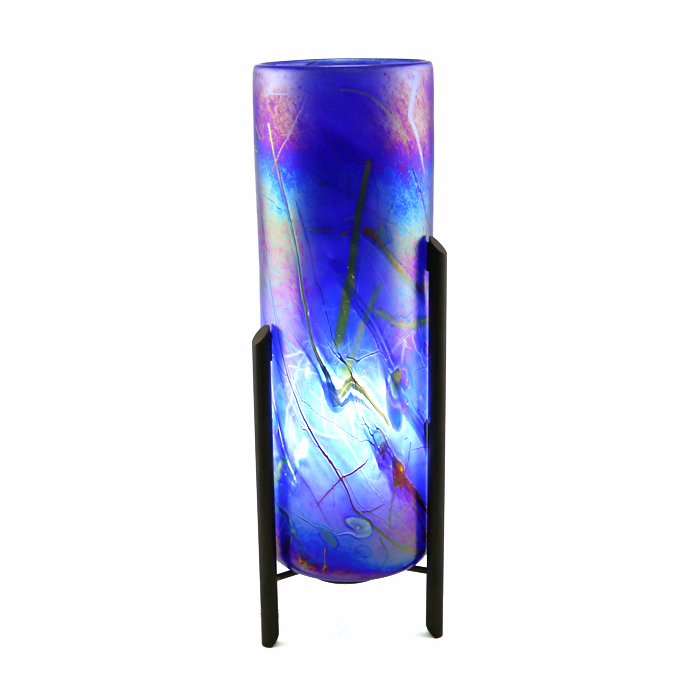 In 1980, Candace began collaboration with Joel Bless on blown glass pieces. 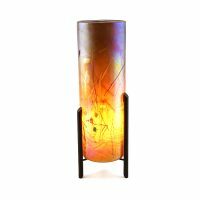 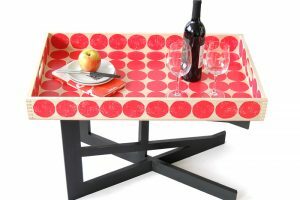 Candace combines her background in two-dimensional design, intaglio, and collage with her knowledge of glass to produce functional art that bridges the boundary between two and three dimensions.